There are still about 2 million of these easily forged old style Matriculas in circulation, the majority of which won't expire until 2007. The decoding optical device does not work on these old style Matriculas. 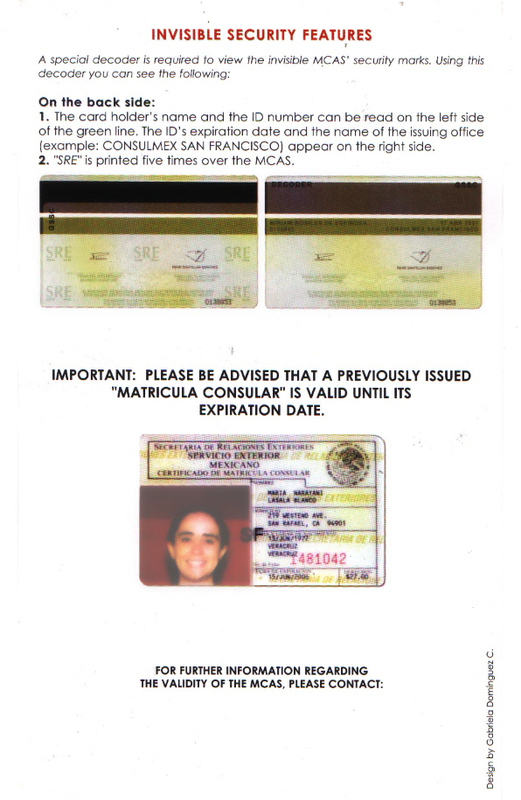 It should be no surprise that the Mexican Governemtn is not recalling these cards because they know they would not be able to locate the many hundreds of thousands of card holders who have moved several times since their IDs were issued, who never bothered to update their addresses.. This so called "high security" card is not secure. 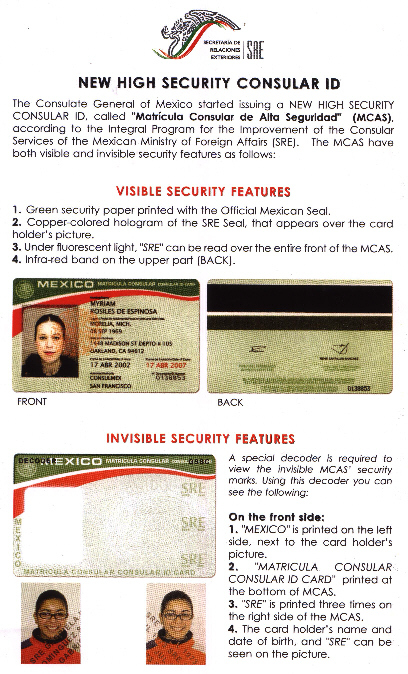 The optical encoder only determines if the card was issued from a Mexican consulate, or off the street. Although the cards validity may be detected with the optical encoder, anyone can get an easily forged birth certificate to obtain the "authentic" card. Either way, the card does not prove that the holder is who he says he is, nor does it prove that the holder lives where he says he does. Unlike a forged California license, a police officer cannot disprove the validity of the matricula by doing a computer "make." 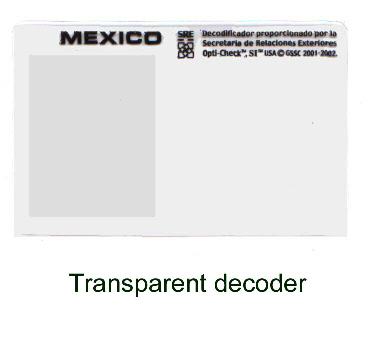 The Mexican Consulate issues this transparent like optical decoder card along with usage instructions to law enforcement to be used to detect the "authenticity" of the matricula card. Public information requests have revealed that most LAPD officers and detectives haven't got a clue about this sham ID and the decoder. 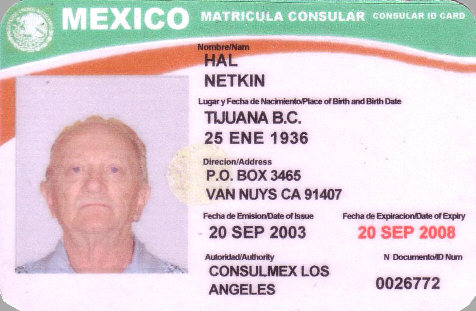 This so called high security (phony) matricula ID was obtained for $40.00 in the Mac Arthur Park area of Los Angeles (not far from the Mexican Consulate). Regular driver's licenses can also be counterfeited but law enforcement can verify the information from a data base. Matriculas are not linked to any data base. Thus, law enforcement has no way to verify the information contained therein.